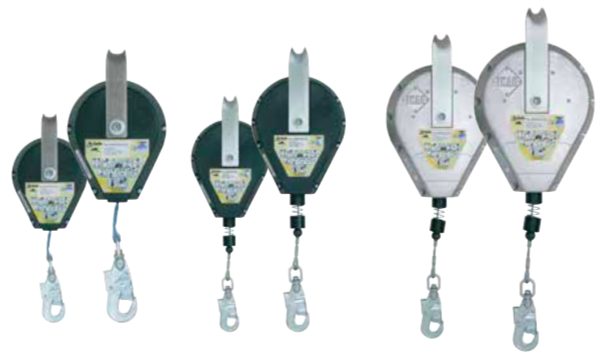 Sturdy, lightweight, low maintenance, self retracting inertia reel with either web straps or galvanised steel rope. Lightweight plastic housing or aluminum housing with loop head. 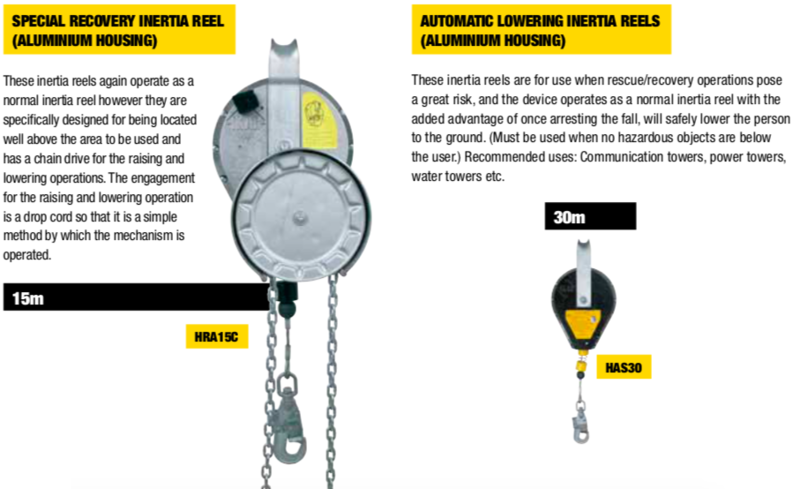 IKAR Inertia Reels are EN compliant – AS/NZS 1891.3 cl 1.6 acknowledges an EN360 listing. 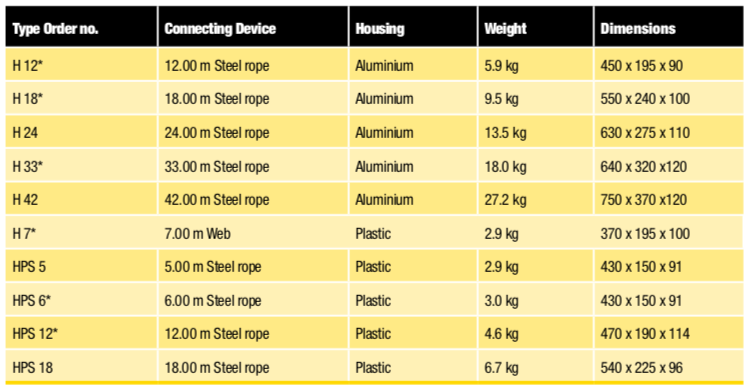 Fall Arrest devices complying with EN353-1, EN353-2 or EN360 are acceptable for use in Australia and New Zealand and feature a very high safety standard and worldwide proven technology. Ikar Recovery Inertia Reels are a combination unit that operates as a normal inertia reel until such time as the raising and lowering capabilities are required. To engage the raising or lowering, the operator pulls out the release pin which then engages the manual mechanism. The gearing of the device is 15:1 which means that not a lot of effort is not required to raise or lower. 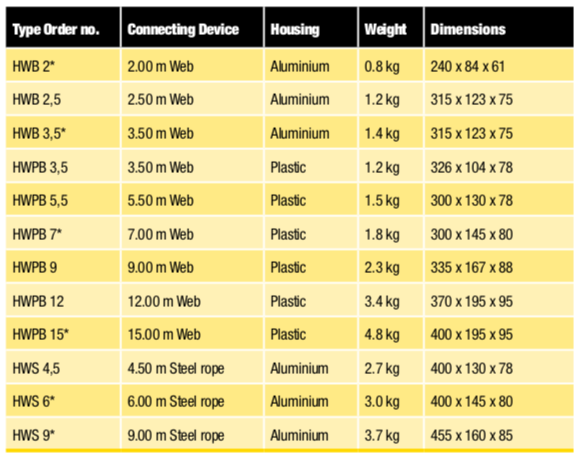 Available with plastic housing in 18m lengths, also available in aluminium housing from 9.5m up to 60m.